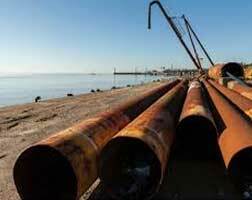 The Indian state-owned natural gas utility Gail Ltd, terminated its pipelining project from Infrastructure Leasing & Financial Services Limited (IL&FS), an Indian infrastructure development and finance company allegedly due to unsatisfactory progress of the project. The pipeline project is supposed to take natural gas to much of eastern India via Varanasi. Unfortunately, the construction of Bokaro-Durgapur 124 km section of the Pradhan Mantri Urja Ganga natural gas pipeline project suffered a backlog because of the financial crisis the IL&FS is experiencing. Last year, IL&FS was awarded with a construction deal for a portion of the 2,655 km of the Pradhan Mantri Urja Ganga. “This section in West Bengal was to be built by IL&FS for IN 166 crores. The three companies have been awarded the tender for a similar amount,” a GAIL official commented. The project was supposed to meet the energy requirements of 40 districts and 2,600 villages of Uttar Pradesh, Bihar, Jharkhand, Odisha, and West Bengal by 2020, which was launched in October 2016 and is also known as Jagdishpur-Haldia/Bokaro-Dhamra Pipeline (JHBDPL). GAIL also said that, post commencing supplies at Varanasi, the final leg of Phase-I (Phulpur-Patna section of approx. 585 km length) of the 2,660 km pipeline project is now almost complete and natural gas supply to the Bihar State capital Patna is expected to commence during the second fortnight of this month. Phase 2 of the project beyond Dobhi (Gaya) towards Durgapur-Haldia and Bokaro-Ranchi-Angul-Dhamra (1,900 Km) is slated for progressive completion by December 2020, whereas the 750 km pipeline from Barauni to Guwahati is expected to be operational by December 2021, GAIL Chair and Managing Director, BC Tripathi said. The cost for the 750-km pipeline up to Guwahati is IN 3,700-4,000 crore.